The Tracy Group brings a longstanding tradition of excellence to all of its newly formed communities. In the building industry since 1974, founder John C. Tracy has established a tradition of quality construction, quality products and the creation of fine communities for family living where luxury meets convenience and where neighbors become lifelong friends. Today, the Tracy Group tradition continues. 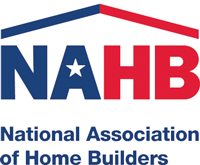 We are honored to have won many awards including the National Association of Home Builder's prestigious Gold Key Award, the Owens Corning Master Builder Award and numerous awards for our featured homes in the Lake County Parade of Homes. The Company has focused on building affordable housing for the first time buyer to distinctive custom homes and home renovations. Quality control and customer satisfaction are the cornerstones of the Tracy Group's business. They strive to keep their prices affordable and making referrals extremely important to them. 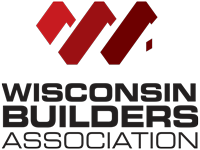 Their commitment to excellence is reflected in many distinctive communities throughout Illinois and Wisconsin and has earned us the praise and respect of many homeowners. We will assure that your new home will provide a lifelong source of pride and enjoyment. Our greatest reward come from the recognition we receive from our homeowners. As a longtime builder of luxury homes we take pride in creating homes that are as beautiful to look at as they are comfortable to live in. Each of our homes offer a combination of quality materials and superior design, where every enhancement you select is seamlessly added to create a customized home that is uniquely yours. Tracy group has designed and built new homes and communities with you in mind. Commitment to quality and a disciplined approach to construction is our goal. John's career in the construction industry began in 1970 when he worked on road and deep tunnel construction and then became a journeyman carpenter. In 1974 he started his own home renovation company in the Northwest suburbs of Chicago, IL. 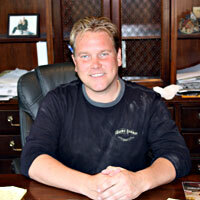 His remodeling business flourished with the completion of over 60 remodeling projects per year. Always looking for new challenges, John then started buying single family homesites in Schaumburg, IL and built a few homes on speculation. 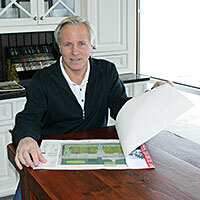 After completing and selling those homes, he purchased a 28 acre farm in Barrington, IL. This continued with additional land purchases throughout the Northwest Suburbs which were developed and built out with custom single family homes. As the company grew, retail shopping centers, office buildings and apartment buildings were added to his accomplishments. In 1984 John expanded his property purchases to Southeastern Wisconsin, where additional parcels of land were purchased for development. This included apartments, condominiums, affordable single family homes, custom homes, and home renovations. With his success and enjoyment of building, John knew he would be involved in the construction industry for years to come. He has and will continue to build various product lines in residential housing with his focus on his communities in Southeastern Wisconsin and Northwest suburbs of Chicago, Illinois. Bryan became interested in the construction industry at a young age when he would join his father on the job sites doing any general labor needed. It was during this time he would listen, learn and observe the day to day operations of the construction side of the business. After working through high school and learning more about the business he was given some responsibilities which included overseeing and managing some jobs of his own. Gradually these duties included the overall management of the projects under construction. Bryan has now accumulated over 20 years working in the business that his father started and has taken over the position of President of the Company. Bryan is detail oriented and his personal design input builds great relationships with clients who find him easy to work with. John and Bryan together bring a new innovative way to fulfilling every homeowner's dream. 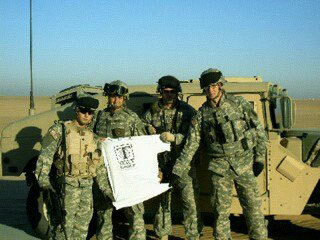 Tracy Group would like to welcome all of our troops returning home from Iraq and thank all those who continue to serve throughout the world.